By Hazel Chua on 09/03/14 • Leave a comment! Ready to pop the question? What you’re about to do might be painfully obvious if you’ve got a huge bulge in your pocket while you’re having a fancy dinner or romantic date with your significant other. An alternative is the Clifton Slim engagement ring case–and when they say “slim,” they mean it. The credit card-sized case folds to a profile of about a centimeter thick, so it’s sleek and discreet. 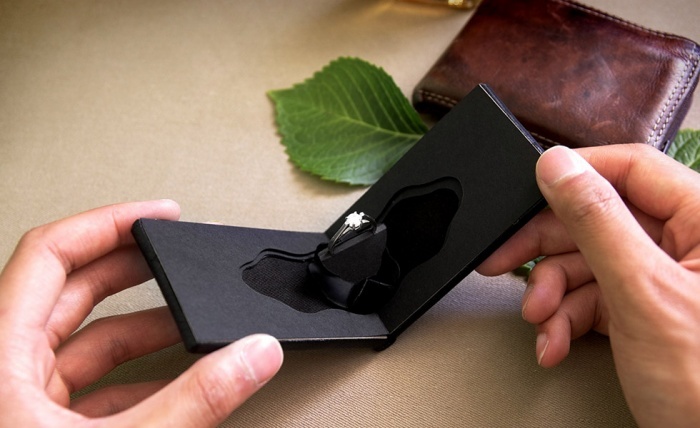 When you open it, the ring pops out of the seemingly flat case, bringing the element of surprise back into proposals. Even if you don’t have any intentions of proposing or are done with it, the case can still come in handy when you’re traveling or headed somewhere and need to stash your ring for one reason or another. The case is available online for $100. Compared to men, women are more particular when it comes to jewelry. How many times have you heard one of your guy friends say that they’ve lost, misplaced, or banged up their rings so badly because he forgot to take it off while mountain climbing? The solution isn’t to buy a spare ring or wear it around your neck; no, it comes in the form of the Qalo Ring. It’s a simple band that dudes can wear on their ring fingers without having to worry about possible wear and tear. 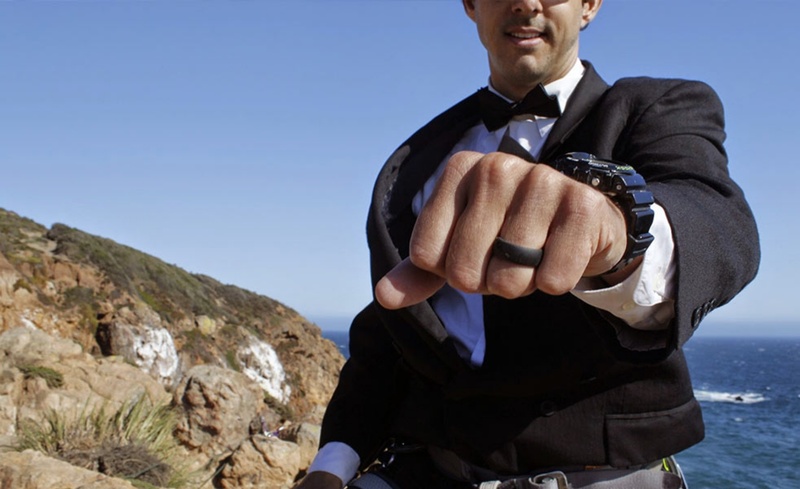 Made from thick silicone, the rings are comfortable yet durable enough for active lifestyles. The best part? It’s only $20, so you don’t have to worry about breaking the bank if you ever need to buy a replacement. Bumblebee is one of the most beloved Autobots from the Transformers franchise. He was the one of the first bots that we were introduced to in the first movie. It’s also worth mentioning that he’s been in every one of the movies, and that’s saying something, seeing as how Michael Bay doesn’t think twice about killing off some of the bots to get a point across. 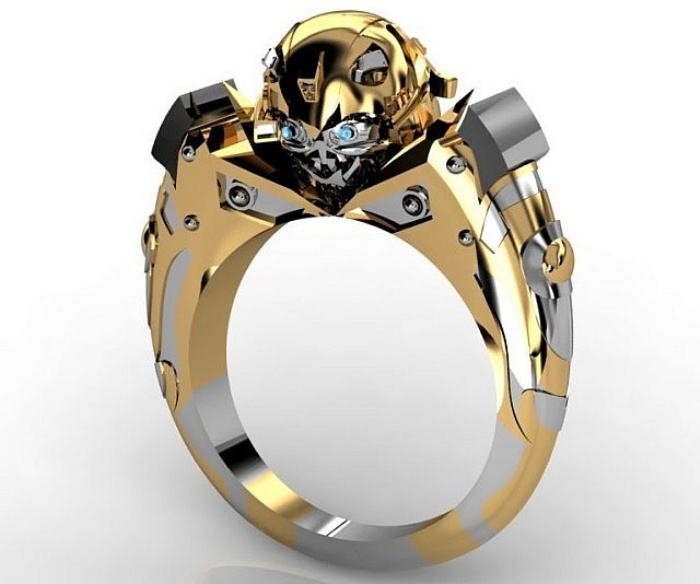 That said, it makes perfect sense to feature Bumblebee on a Transformers-inspired ring–not only for his marketability, but for his bright and aesthetically-pleasing design. That and the fact that he turns into a snazzy Camaro seals the deal for me. The ring features Bumblebee’s playful mug right smack in the middle of an adorable sterling silver and gold-plated band. It’s available from CustomMade for $299. Rings are a symbol of love and commitment. They’re indicators of your fashion sense, sentiments, and even your political views. Where the Gas Mask diamond ring falls under, I’m not sure. Probably all of the above, although I’m unsure on the love and commitment part for obvious reasons. 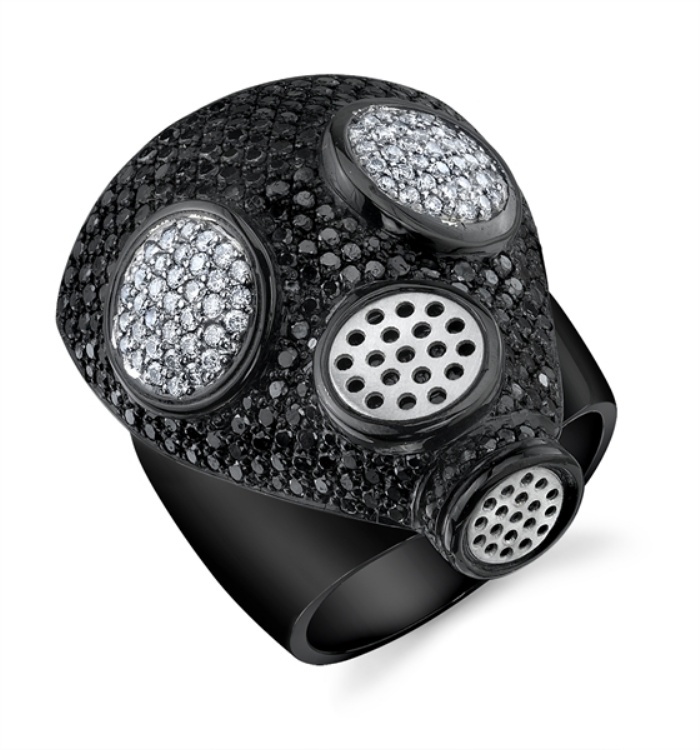 The ring is adorned with gorgeous black and white diamonds, which are set on 18-carat gold with a black finish. Wear it in protest, wear it to showcase your sense of style (and deep pockets), or simply wear it because it’s fun. By Hazel Chua on 05/20/14 • Leave a comment! Take a cue from Beyonce and put a ring on it! 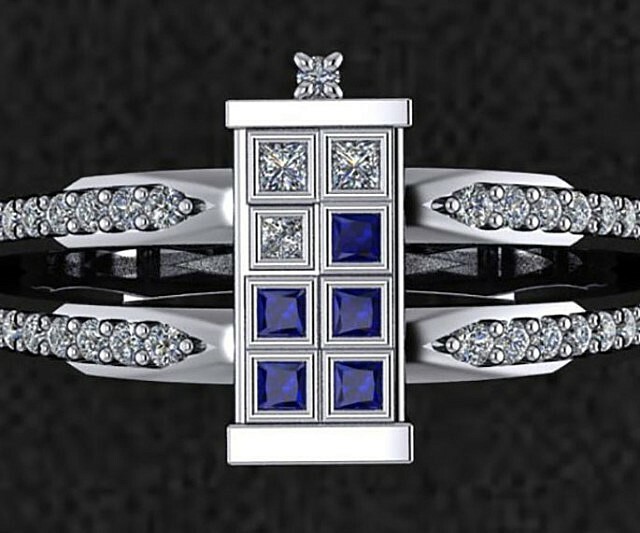 It doesn’t have to be a ring with a huge rock or something that’s over-the-top fancy, because what’s more important is what the ring symbolizes. 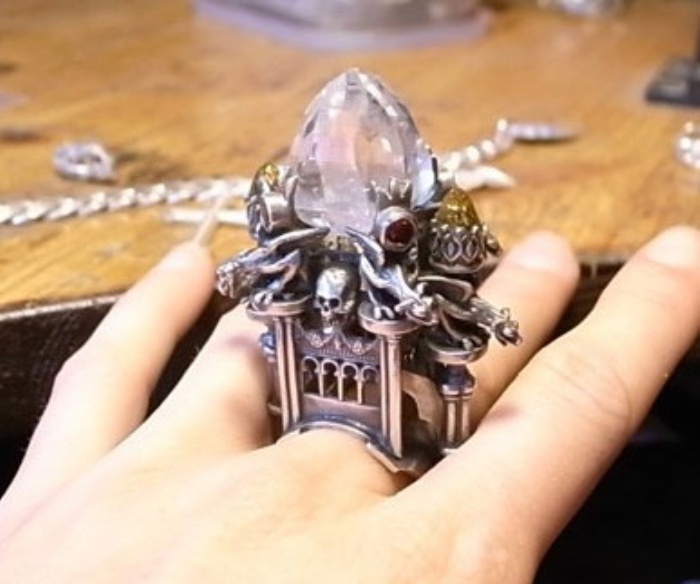 However, if you can afford it and know your fiance would want something that’s larger than life, then maybe this giant Cathedral ring will do. Its maker, MetalCoutureJewelry, didn’t hold anything back when they design the humongous ring. Something they probably didn’t consider though: the wearer poking herself in the eye when she reaches up to fix her glasses or hair or something. People spend thousands of dollars on wedding rings without considering the fact that they might be too tight or too loose a few years down the line. Then there’s the matter of wearing them and taking them off if your significant other chose a ring in a size that’s a little off. Cue Jeff McWhinney and his line of “active” wedding rings, which have a unique hinged mechanism that’s similar to the one on watch straps. 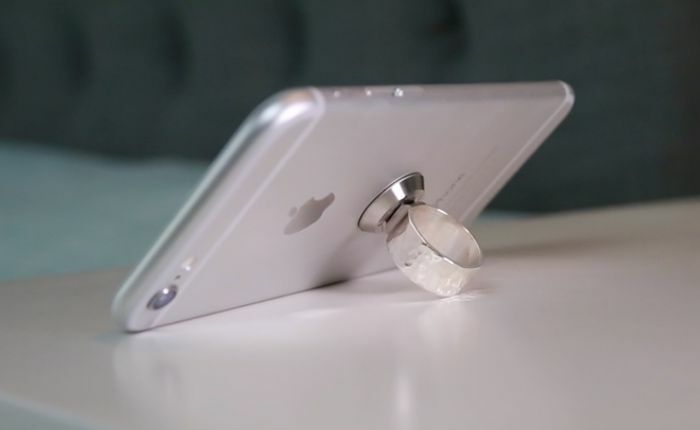 That way, the rings are easy to remove when you’re about to play some sports, wash dishes, or do something where rings typically get in the way. 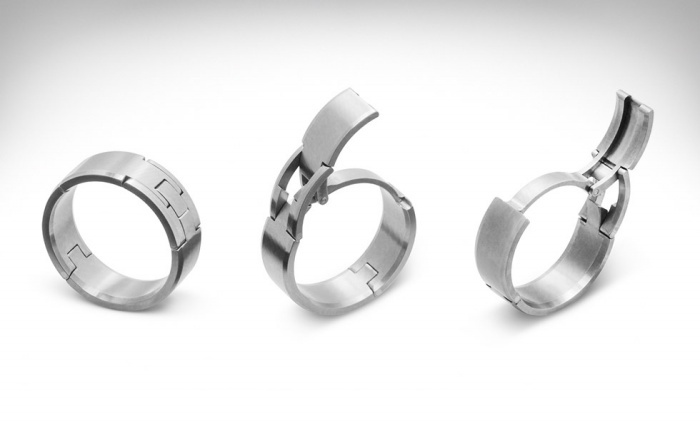 The CNC-machined rings are available in six designs and in a wide range of sizes. Prices start at $825. Looking for a ring that’s truly unique and one-of-a-kind for you and your partner? Then put your fingerprints on them! It makes sense, considering no one in this world has the same set of prints. Simply make a copy of your prints using ink on paper, scan them, and send them off to Adzias Jewelry Atelier, who will take care of the rest. The rings can be personalized further since you have the option of engraving it with your initials, anniversary date, or whatever else you want to put on it. Adzias guarantees that the fingerprint grooves won’t ever fade, just like your love and devotion to one another. 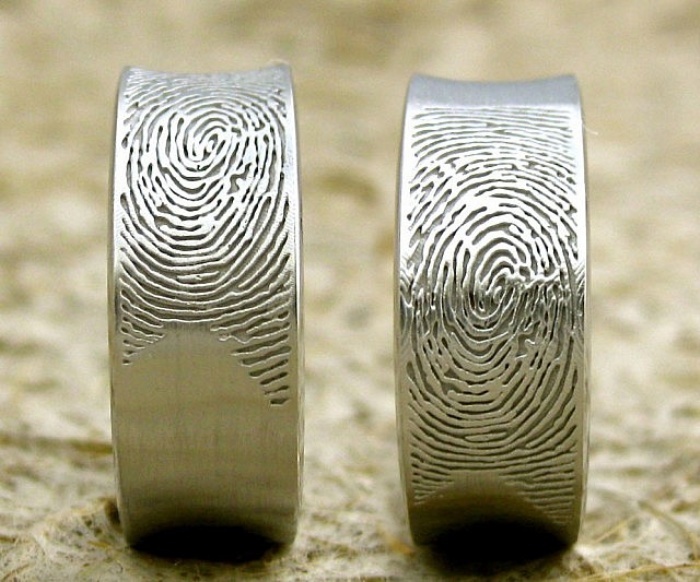 The made-to-order fingerprint rings are priced at $1,480.